CINCINNATI -- A school bus driver was taken to the hospital Tuesday morning after a parent pried open the vehicle’s doors and attacked her, according to the Cincinnati Police Department. Westwood’s Mustang Drive is typically a quiet neighborhood, according to Danielle Fennell, who said she has lived along the street for years, but that wasn’t the case Tuesday. "I looked up the street and there were just so many cop cars," she said. "And they were still coming." Police said a school bus was passing through the area when Keisha Shannon, 28, parked her car in front and forced it to stop. She then pried open the doors, shouting at the driver, and attacked her -- all with a student on board. The attack left the driver with injuries to her face, police said, which were treated at a nearby hospital after Shannon's arrest. 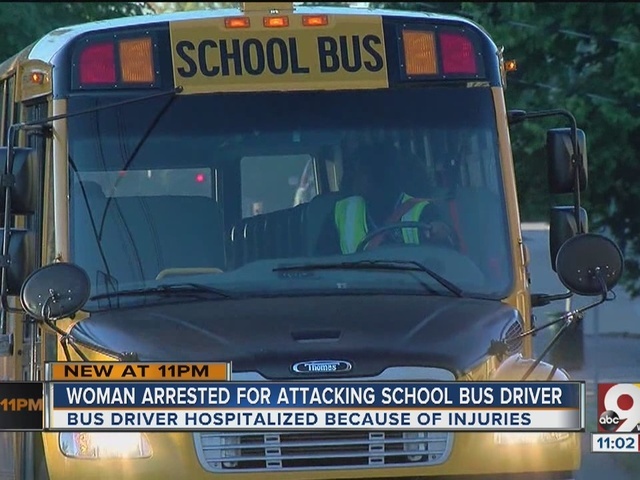 Authorities said the motive behind the incident was not immediately clear, but according to court records, Shannon and the driver may not have been strangers: Her child takes that bus to school. Police waited with the student who witnessed the attack until her parents arrived to collect her. She was uninjured. Shannon is due in court at 12:30 p.m. Wednesday. The bus company, First Student, is also investigating what may have led up to the attack.